I have been working very hard behind the scenes on projects I cannot share yet! Happy Father's Day to all Dads out there!! Fabulous image and card, your colouring is superb. 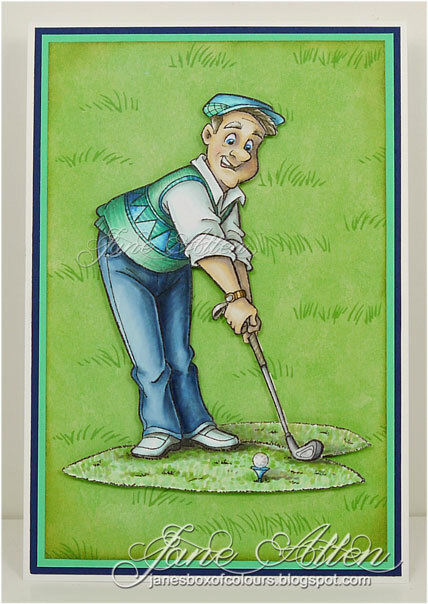 can't wait to see what you have been up to, but golly girl, your dad must love THIS card! ADORABLE!!!!!!!! Wow, it's amazing. I thought the grass was paper until I read your colours!